When we talk about health, we usually think about physical pain and diseases that we try to avoid while having a healthy lifestyle. We try to exercise and eat healthily, but the silent killer that we barely notice from time to time is stress. The modern disease that can cause physical pain and lead to developing diseases is stress. In the past few decades, we talk about stress more than ever. However, we live in a society where we tend to be surrounded by stressful situations. It’s a scary thought that you can adjust to stress and live with it, without even noticing the effect that it has on your health and well-being. You have a stressful job that you need, and you simply accept the stressful situations at work. You tend to go to your bed habits: overeating when you come home, unhealthy snacks while working or even smoking cigarettes believing you will relieve stress with food, cigarettes, and alcohol. If you don’t feel it, your heart does! Can we adjust to stress and learn how to live with it? The answer to this question is no; you can not live with stress pretending everything is fine. When it comes to your body, stress is killing your heart first. Heart attacks at a young age? People are shocked when they hear young people dying from heart attacks. Furthermore, stress can cause headaches, stomach pain, chest pain and sleeping problems. When we talk about psychological and social effects of stress, it can lead to social withdrawal, drug abuse, smoking, overeating or undereating, exercising less which altogether has a significant impact on your health. If you recognize you have all or some of the listed stress symptoms, you should create your own stress management strategies. Start with a regular physical activity, which can boost a level of happy hormone, serotonin. Use relaxation techniques, such as meditation, yoga or get a massage. It’s important to keep your sense of humor in a chaotic world that you live in; socialize with your friends and family members, surround yourself with positive people. If you have a stressful job, try to focus on your hobbies after 5 pm. Read a book, go to a gym, hang around with your friends and listen to music that lifts you up. Overthinking and going through stressful situations over and over again will not benefit you at all. If you are not sure that you can deal with stress on your own, consider asking for help from a professional. A good therapist can help you identify sources of stress and help you develop coping skills that can help you deal with stress better. Keep in mind that physical symptoms such as chest pain accompanied with sweating, nausea, dizziness, and shortness of breath should be taken very seriously. These symptoms can be early signs of a heart attack, not just another stress symptoms. When your body is seeking for help, you need to listen to your body and act accordingly. What is a good stress? 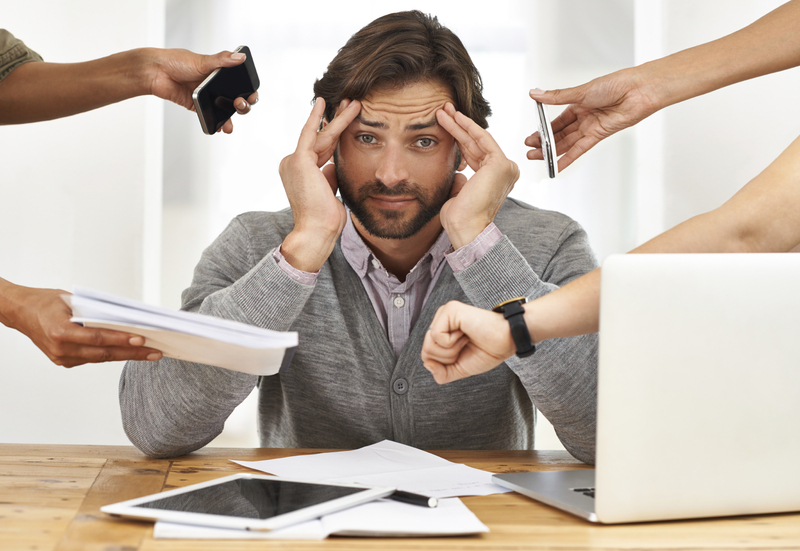 In the past few years, researchers are emphasizing the importance of a good stress. Is there a good stress? When you find yourself in a situation which prompts you to react and motivates you to change, then those are good stressful situations. Let’s keep it real, making positive changes in life due to stressful situations is hard. Undermining the negative effects due to positive ones is dangerous. We all need to develop strategies to overcome stressful situations. Furthermore, we all need to help to turn stress into something positive and productive in our lives.